Flying with a baby, the thought of it always scared the crap out of me! It sounded complicated and stressful but I knew we’d have to do it and probably pretty frequently since both of our families are in California. We booked our first flight for six weeks after Carter was born, the three of us would go for the weekend and hang with the family and then head back on Monday. Well as they can, plans changed. Ariel had to head off to New York for work the day we left to California which left Carter and I to fly alone. Her first flight, our first flight with her, and I’m doing it alone. [panic] Luckily, Ariel was able to fly out at the same time as us so she could help get everything packed, to the airport and checked. The flying process was fairly easy which was surprising to me. I was imagining sheer chaos and one hot mess of a mama but it ended up great! Carter slept until we boarded, woke up and ate as we took off, hung out and swooned everyone around us, ate as we landed and fell back asleep. She hadn’t slept a wink the night before so she was exhausted, as was I however only one of us got to take a nap. [this mom runs off of coffees, yes more than one] Oh! We did have a near blow out situation but I caught it before it made its way out of the diaper! All in all it was an easy flight [see my tips for traveling below] and now that we’re in California we’re excited to spend some time with family and show off our sweet crazy haired girl. 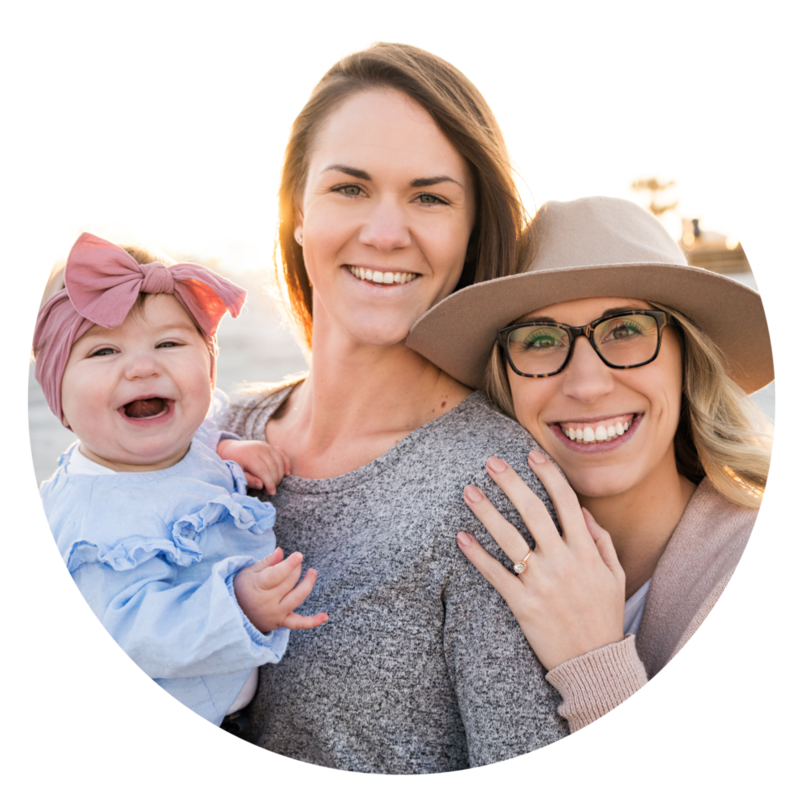 I’m not an expert at all since this was our first flight however these are some things that really made traveling with a baby easy for me! Flying with baby on the lap: Bring a birth certificate or shot record with you, the airline will want to verify age. Baggage: Check everything you can. You’re carrying a heavy child, you have mom brain, the likely hood of you forgetting the luggage in line at Starbucks is high. Car seat: If you’re bringing a car seat, bring a bag to put it in so that when it’s being thrown under the plane it doesn’t get broken or ruined! Wear baby: We have both an ergo and a solly baby wrap. The Ergo was my choice because you have to unbuckle or unwrap the babe during take off and landing, unbuckling was much easier than unwrapping would have been. 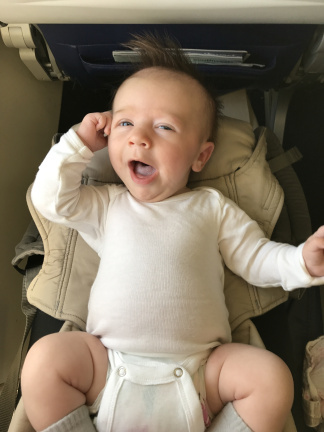 Changing baby: I’ve heard some planes don’t have changing tables. [not sure if that’s true] Take the little one to the bathroom and lay them on your lap. Sure changing them at your seat would be way easier but I doubt the person sitting next to you or in front of you want to see or smell what your babe brewed in there. Breastfeeding baby: MILKSNOB. I’m obsessed with mine. It has made breastfeeding in public so easy!